We do not live in a post-truth world and never have. On the contrary, we live in a pre-truth world where the truth has yet to arrive. As one of the primary currencies of politics, lies have a long history in the United States. For instance, state sponsored lies played a crucial ideological role in pushing the US into wars in Vietnam, Iraq, and Afghanistan, legitimated the use of Torture under the Bush administration, and covered up the crimes of the financial elite in producing the economic crisis of 2008. Under Trump, lying has become a rhetorical gimmick in which everything that matters politically is denied, reason loses its power for informed judgments, and language serves to infantilize and depoliticize as it offers no room for individuals to translate private troubles into broader systemic considerations. 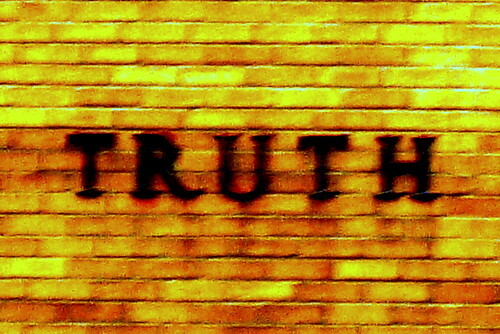 While questions about truth have always been problematic among politicians and the wider public, both groups gave lip service to the assumption that the search for truth and respect for its diverse methods of validation were based on the shared belief that "truth is distinct from falsehood; and that, in the end, we can tell the difference and that difference matters." It certainly appeared to matter in democracy, particularly when it became imperative to be able to distinguish, however difficult, between facts and fiction, reliable knowledge and falsehoods, and good and evil. That however no longer appears to be the case. In the current historical moment, the boundaries between truth and fiction are disappearing, giving way to a culture of lies, immediacy, consumerism, falsehoods, and the demonization of those considered disposable. Under such circumstances, civic culture withers and politics collapses into the personal. At the same time, pleasure is harnessed to a culture of corruption and cruelty, language operates in the service of violence, and the boundaries of the unthinkable become normalized. How else to explain President Trump's strategy of separating babies and young children from their undocumented immigrant parents in order to incarcerate them in Texas in what some reporters have called cages. Trump's misleading rhetoric is used not only to cover up the brutality of oppressive political and economic policies, but also to resurrect the mobilizing passions of fascism that have emerged in an unceasing stream of hate, bigotry and militarism. Trump's indifference to the boundaries between truth and falsehoods reflects not only a deep-seated anti-intellectualism, it also points to his willingness to judge any appeal to the truth as inseparable from an unquestioned individual and group loyalty on the part of his followers. As self-defined sole bearer of truth, Trump disdains reasoned judgment and evidence, relying instead on instinct and emotional frankness to determine what is right or wrong and who can be considered a friend or enemy. In this instance, Truth becomes a performance strategy designed to test his followers' loyalty and willingness to believe whatever he says. Truth now becomes synonymous with a regressive tribalism that rejects shared norms and standards while promoting a culture of corruption and what former New York City mayor Michael Bloomberg called an "epidemic of dishonesty." Truth is now part of a web or relations and world view that draws its elements from a fascist politics that can be found in all the commanding political institutions and media landscapes. Truth is no longer merely fragile or problematic, it has become toxic and dysfunctional in an media ecosystem largely controlled by right wing conservatives and a financial elite who invest heavily in right-wing media apparatuses such Fox News and white nationalist social media platforms such as Breitbart News. At a time of growing fascist movements across the globe, power, culture, politics, finance, and everyday life now merge in ways that are unprecedented and pose a threat to democracies all over the world. As cultural apparatuses are concentrated in the hands of the ultra-rich, the educative force of culture has taken on a powerful anti-democratic turn. This can be seen in the rise of new digitally driven systems of production and consumption that produce, shape, and sustain ideas, desires, and social relations that contribute to the disintegration of democratic social bonds and promote a form of social Darwinism in which misfortune is seen as a weakness and the Hobbesian rule of a 'war of all against all' replaces any vestige of shared responsibility and compassion for others.The era of post-truth is in reality a period of crisis which as Gramsci observed "consists precisely in the fact that the old is dying and the new cannot be born [and that] in this interregnum a great variety of morbid symptoms appear." Those morbid symptoms are evident in Trump's mainstreaming of a fascist politics in which there is an attempt to normalize the language of racial purification, the politics of disposability and social sorting while hyping a culture of fear and a militarism reminiscent of past and current dictatorships. Trump's lying is the mask of nihilism and provides the ideological architecture for a form of neoliberal fascism. Under such circumstances the state is remade on the model of finance, all social relations are valued according to economic calculations, and the dual project of ultra-nationalism and right-wing apocalyptic populism merge in an embrace of a toxic and unapologetic defense of white supremacy. Unsurprisingly, Trump views language as a weapon of war, and social media as an emotional minefield that gives him the power to criminalize the political opposition, malign immigrants as less than human, and revel in his role as a national mouthpiece for white nationalists, nativists, and other extremist groups. Unconcerned about the power of words to inflame, humiliate, and embolden some of his followers to violence, he embraces a sadistic desire to relegate his critics, enemies, and those considered outside of the boundaries of a white public sphere to zones of terminal exclusion. In this instance, truth when aligned with the search for justice becomes an object of disdain, if not pure contempt. Fascism first begins with language and then gains momentum as an organizing force for shaping a culture that legitimates indiscriminate violence against entire groups - Black people, immigrants, Jews, Muslims and others considered "disposable." In this vein, Trump portrays his critics as "villains,"describes immigrants as "losers" and "criminals," and has become a national mouthpiece for violent nationalists and a myriad of extremistswho trade in hate and violence. Using a rhetoric of revulsion as a performance strategy and media show to whip up his base, Trump employs endless rhetorical tropes of bigotry and demonization that set the tone for real violence. Trump appears utterly unconcerned by the accusation that his highly charged rhetoric of racial hatred, xenophobia and virulent nationalism both legitimates and fuels acts of violence. He proceeds without concern about the consequences of lending his voice to conspiracy theorists claiming that George Soros is funding the caravan of migrant workers,  calling CNN anchor Don Lemon "the dumbest man on television," or referring to the basketball star, LeBron James as not being very smart. While Trump insults a variety of public figures, his attacks on African-Americans follows the standard racist stereotype of calling into question their intelligence. Meanwhile, this inflammatory invective offers a platform for inducing violence from the numerous fascist groups that support him. There are historical precedents for this collapse of language into a form of coded militarism and racism - the anti-Semitism couched in critiques of globalization and the call for racial and social cleansing aligned with the discourse of borders and walls. Echoes of history resonate in this assault on minority groups, racist taunts, twisted references that code a belief in racial cleansing, and the internment of those who do not mirror the twisted notions of white supremacy. As Edward Luce reminds us, we have heard this language before. He writes: "Eighty-five years ago on Thursday, Heinrich Himmler opened the Nazis first concentrating camp at Dachau. History does not repeat itself. But it is laced with warnings." 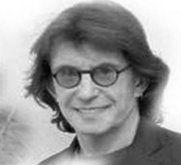 In an age when civic literacy and efforts to hold the powerful accountable for their actions are dismissed as "fake news," ignorance becomes the breeding ground not just for hate, but for a culture that represses historical memory,shreds any understanding of the importance of shared values, refuses to make tolerance a non-negotiable element of civic dialogue and allows the powerful to weaponize everyday discourse. While Trump has been portrayed as a serial liar, it would be a mistake to view this pathology as a matter of character. Lying for Trump is a tool of power used to discredit any attempt to hold him accountable for his actions while destroying those public spheres and institutional foundations necessary for the possibility of a democratic politics. At the heart of Trump's world of lies, fake news, and alternative facts is political regime that trades in corruption, the accumulation of capital, and promotes lawlessness, all of which provides the foundation for a neoliberalism on steroids that now merges with an unabashed celebration of white nationalism. The post-truth era constitutes both a crisis of politics and a crisis of history, memory, agency, and education. Moreover, this new era of barbarism cannot be understood or addressed without a reminder that fascism has once again crystalized into new forms and has become a model for the present and future. Trump's aversion to the truth resembles Orwell's Ministry of Truth in that it provides a bullhorn for violence against marginalized groups, journalists, and undocumented immigrants, all the while disseminating its lies through a massive disimagination tweet machine. This dystopian propaganda apparatus is also fueled by a language of silence and moral irresponsibility couched in a willingness on the part of politicians and the public to look away in the face of violence and human suffering. This is the worldview of fascist politics and a dangerous nihilism- one that reinforces a contempt for human rights in the name of financial expediency and the cynical pursuit of political power.